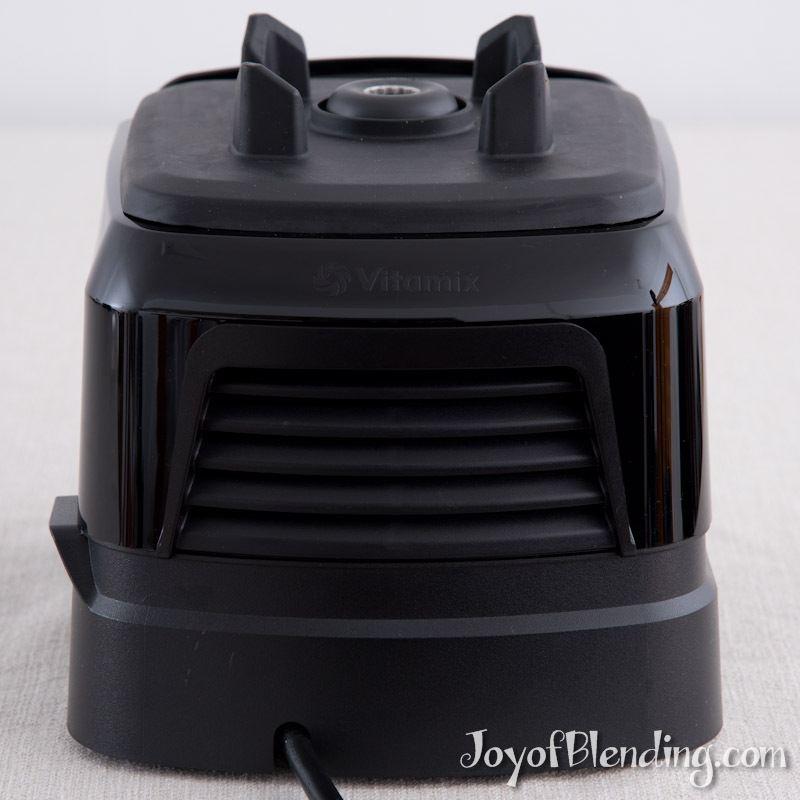 I’ve been testing out a Vitamix V1200 to write this review. As expected, it delivers the high quality results that Vitamix has built its reputation on. If you’ve been shopping around for a Vitamix, you’ve probably noticed that they make many different models. The first thing to know is that all of the full-size machines offer the same blending performance. (The only non-full size models are the S30, S50, and S55.) The differences are in features, aesthetics, and the containers they come with. Sale Alert: If you’re shopping for a Vitamix this April, make sure to check out the Mother’s Day Sale. Vitamix created the Venturist line specifically for Costco. It is essentially the budget cousin to the Ascent line. The Venturist line has much in common with the Ascent line, so I will mainly define it in terms similarities and differences with Ascent. But first I want to warn you about one thing to consider. You need the tamper to make thick blends like spreads and frozen desserts. Narrower containers have smaller minimum blending requirements than the wide container. For frozen desserts, you’re looking at 3+ servings instead of 2 servings with a narrow container. Or, for nut butters, you need at least 4.5 cups of nuts vs. 3 cups in a narrow container. You can buy an extra narrow container (48-oz) to use with the V1200, but that’s an added expense of $144.95. 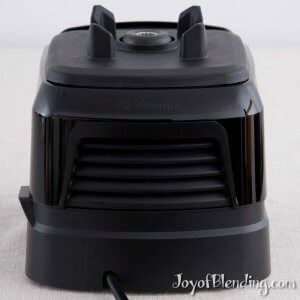 If you want to do a fair amount of blending small amounts of thick blends, you may be better off with a machine that comes with a single narrow container. If you don’t need the 64-oz capacity, the E310 is the one to get (it comes with a 48-oz container). And if you want a the full 64-oz capacity on a narrow container, pick one of the classic “standard” models—of those, I recommend the 5200 or the equivalent Standard Reconditioned. The V1200 is slightly less elegant and louder than Ascent models. The V1200 has a settable countdown timer on the front, which is similar to that found on the A3300 and A3500. The difference is that the A3300 and A3500 use capacitive touch buttons, whereas the V1200 uses dome switch buttons. The dome switches protrude a bit and require more force to activate than capacitive buttons. The V1200 buttons work perfectly well, but the Ascent touch buttons look and feel a bit more elegant. However, it’s worth noting that all Ascent and Venturist models have maximum blend times that depend on the container. For the 64-oz container, the maximum is 6.5 minutes. So if you want to use the Vitamix to heat something like a soup or a sauce, you can leave any Venturist or Ascent model running, and it will automatically turn off after 6.5 minutes without requiring any countdown timer or program mode. 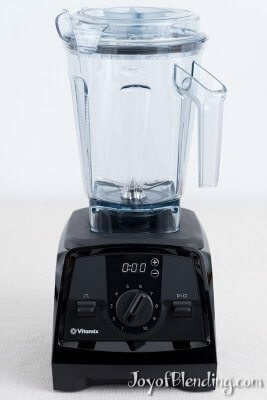 The base shell has some elements of Ascent, and others of legacy Vitamix models. The front panel is the same shape as the legacy G-Series. It lacks the distinctive curved bevel found on the side of Ascent models, but it has the same back vent as Ascent models. Water is noisier than some blends and quieter than others. I made these measurements using a RadioShack sound level meter. Blender noise can depend significantly on surroundings, so I swapped each model into the same location for each measurement, and kept the sound meter fixed in the same spot in front of the blender. Even set to “slow readout,” the readings jump around, which is why I’m reporting ranges. Also note that decibels use a logarithmic scale, so the differences are greater than might be intuitive. That said, once you are blending loud ingredients, the differences between models are quite minor. V1200 has the settable countdown timer, while A2300 does not. V1200 has the settable countdown timer, while A2500 does not. The A2500 also has 3 preset programs (smoothies, frozen dessert, hot soup), which the V1200 does not have. However, you can use preset programs on the V1200 if you send them from the app. Both have the settable countdown timer, but the A3300 uses flat capacitive buttons, whereas the V1200 uses raised dome buttons. This makes the A3300 look and feel more premium. 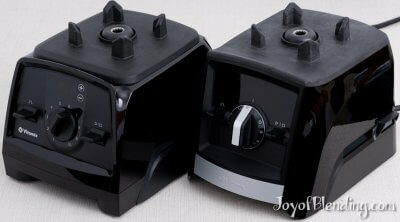 Similarly, the variable speed knob on the A3300 looks and feels more premium than the V1200’s. Are these extras worth paying more for? It really comes down to personal preference. If you’re excited about the extra features, I say go for it. But know that you can blend just as well with the E320. Also note that the V1200 requires Self Detect containers, which means that old Vitamix containers will not work with it. One the other hand, the E320 can be used with Vitamix containers going back to the the mid ’90s. This comparison is almost the same as the V1200 vs E320 directly above. The only difference is that the 7500 is a more premium machine than the E320. That means that it is a bit quieter, and it has the secondary on-off switch on the side. We have the Vitamix V1200 and are happy with it. As an expensive stand alone blender, it works great. However, using the v1200, with all the bells and whistles, where the ingredients are automatically measured, the timer and speed of the blender is automatically set, and pouring the liquid into containers by weight, can be a daunting task. The full complement of equipment required are: a Bluetooth capable phone and/or tablet (Software is not MS Windows compliant), with the Vitamix app installed properly, a Bluetooth scale, which must be purchased separately, and the blender itself. 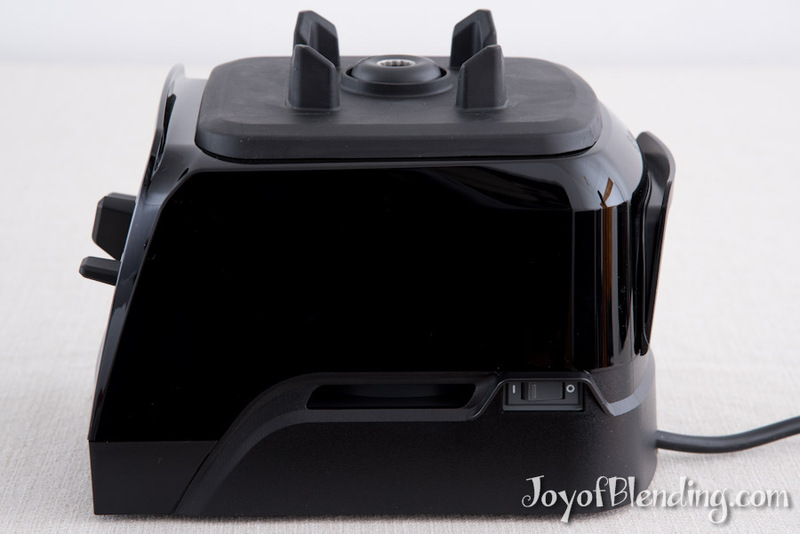 Once setup, sitting side-by-side on a counter, and the software recognizes the scale and blender, the process becomes very easy to load the ingredients, blend and pour. I’m hoping that Vitamix will provide a proper set of instructions that can be followed going forward as it took several calls before we became comfortable with this process. Viva la Vitamix…happy blending and of course happy feasting. How do you compare the V1200 to the 7500? I’m interested in the best blending experience, accompanied by the smallest amount of noise. The technology (countdown timer, Bluetooth) are not important to me, but I wonder whether the clear (non rubber) 48oz container on the v1200 blends better, and I like the ability to screw on smaller containers to a base for chopping small amounts of food (carrots, onions, etc.). If you exclude the technology, the blending experience is extremely similar. The 7500 is a bit quieter. (The Ascent Series is also quieter than Venturist.) Note that the V1200 comes with a 64-oz container; the 48-oz container is an optional accessory. The Venturist/Ascent 64-oz container blends essentially identically to the 7500’s 64-oz container. The lids have a different feel, but it’s not a big deal. The 7500 can use those small screw-on containers, but it requires the slightly bulky Personal Cup Adapter. Thinking of swapping out my recently purchased 6500 for the V1200 as this model came out only a few weeks after I bought my 6500. Aside from missing all the tech, my biggest gripe with the 6500 is how awfully loud it runs. It irritates my family and pets. Is the V1200 quieter than the 6500? Would the blending experience be the same considering their similar containers? Thanks! The V1200 is not particularly quieter than the 6500. Neither of them have the quieter design of the G-Series and Ascent Series. That said, the G-Series and Ascent models are only slightly quieter. Depending on your kitchen, a foam pad under the machine can help quiet it a bit. The 64-oz Ascent/Venturist container blends pretty much identically to the 6500’s 64-oz container. What about motor specifics? I’m thinking of jumping from Blendtec to Vitamix. Any thoughts? Not sure what you mean by motor specifics, but all full-size Vitamix machines have essentially the same motor. (The Space Saving models are smaller and less powerful.) 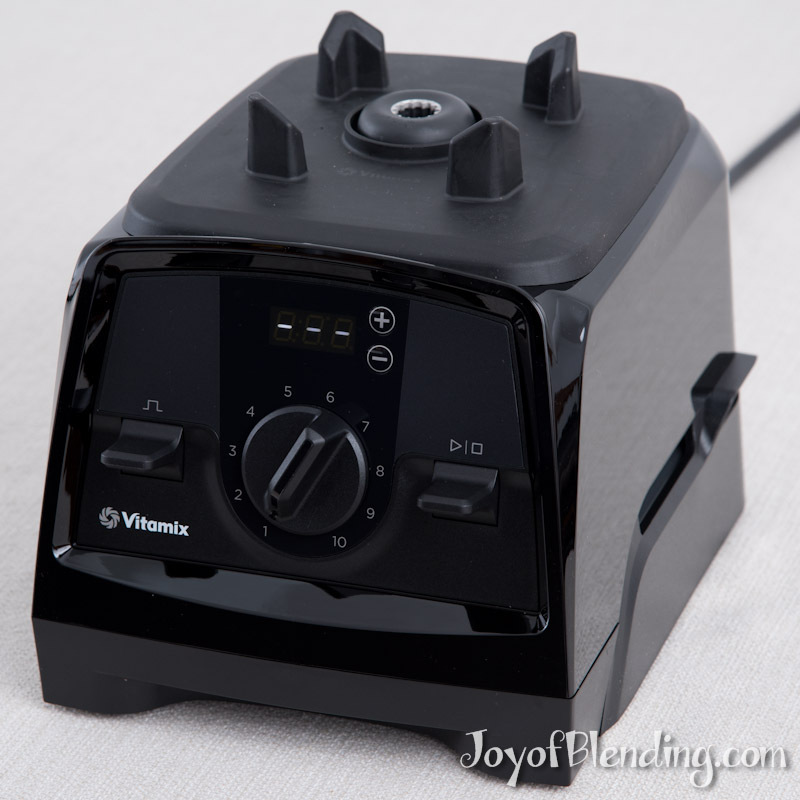 The Vitamix motor is capable of everything you could possibly want it to do in the kitchen. I would like to know your thoughts on use/limitations of the 20 oz or 8 oz without tamper. For example, if I wanted to make a smaller batch of nut butter, would the 20 oz or 8 oz blend these tougher ingredients smoothly? It’s not so much a question of toughness as it is a question of will the blades form an ineffective air pocket. The answer depends on the nut butter. Some nuts release their oils easily and will work in the 8-oz container. For example, most roasted peanuts and roasted pecans release enough oil. Other nuts would require added oil to blend without a tamper. You can stop the process, scrape down the sides of the cup and put it back on the base to continue blending. Yes, Venturist and Ascent use the exact same containers. Do you need another container? That depends…. Many people just use the 64-oz container. Some people like having a smaller container. There are occasionally sales on containers.